Since BB cream first hit the North American market in a big way, I've tried multiple BB and CC cream formulas. And most of them are good, but very few delivered on the complete package: colour, skincare benefits, hydration, and sun protection. 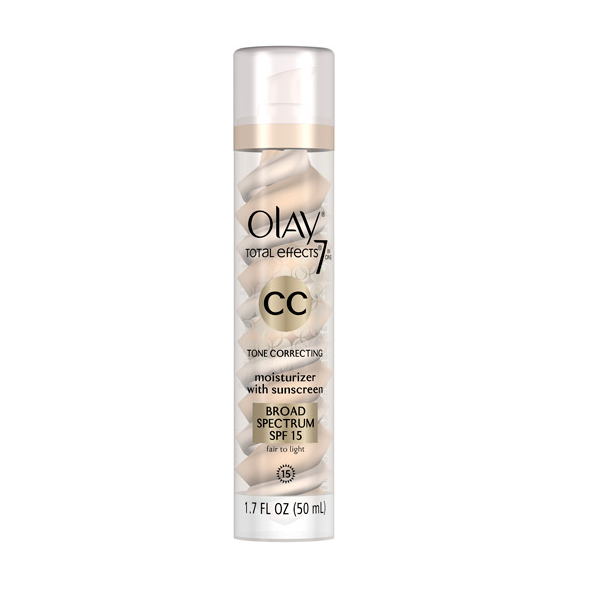 Olay CC Cream ($29.99 at London Drugs) is one of the select few that has it all. Aside from looking cool, the double-helix formula delivers a multititude of benefits: fighting fine lines and wrinkles; evening out tone; reducing the appearance of age spots and discolouration; exfoliating gently; fighting dryness; and increasing luminosity. The active sunscreens that make up the SPF 15 protection are all chemical-based, although I did spy titanium dioxide (a compound commonly used as the active ingredient in mineral sunscreens) on the ingredients list. The formula doesn't boast a lot of colour pigment, so concealer is a must if you have dark undereye circles or spots. But it's also so emollient-rich that I found myself skipping moisturizer during the weeks I tested it. What's more, my complexion had a luminous, like-my-skin-but-better glow to it. This one is definitely a keeper.